Ocean Matters Marine Science through Service Learning Programs match young people with endangered marine ecosystems where they can make a real difference. We first brought high school-aged students to Utila, a small island off the mainland of Honduras, in 2016 for a project to address the lionfish invasion, which is decimating reefs across the Atlantic and Caribbean. Students analyzed the stomach contents of lionfish we eradicated from the reef for a Cambridge University study and did a reef fish survey. Both studies help researchers piece together the damage this invasive species is doing to the marine ecosystem in order to develop strategies to address it. We came for the science and service, but we found other unexpected benefits. It’s easy to understand why Utila is considered by many to be the crown jewel of Honduran tourism. Here are the 4 top reasons we chose this site. Utila is located in the Bay Islands, 18 miles off the coast of Honduras on the Mesoamerican Reef, a large barrier coral reef, second only in size to the Great Barrier Reef (GBR) in Australia. For reasons scientists do yet well understand, this tiny island is host to one of the largest aggregates of migrating whale sharks, earning Utila the title “Whale Shark Capital of the Caribbean.” Our partners, the Whale Shark Oceanic Research Center (WSORC)are the only NGO with permits to study these whale sharks in the area, giving students a front row seat to the latest in research on this largest of all fish. There are over 60 dive sites around the island, offering a variety of marine life and conditions. A stroll down Utila town’s one main street is a step back in time. One of the few vans in town is what is used to bring you and your gear from the airport to the hotel; otherwise, most people scooter or bicycle everywhere. Children, dogs, and chickens all roam free. It’s not unusual to see someone riding a donkey or horse as a mode of transportation. Tourist shops are interspersed with restaurants and rare oddities like the Jade Seahorse, an architect’s bungalows, restaurants and terraced gardens built from salvaged marine items, trash, marbles, old doors, discarded water tanks and other surprising and imaginative details. 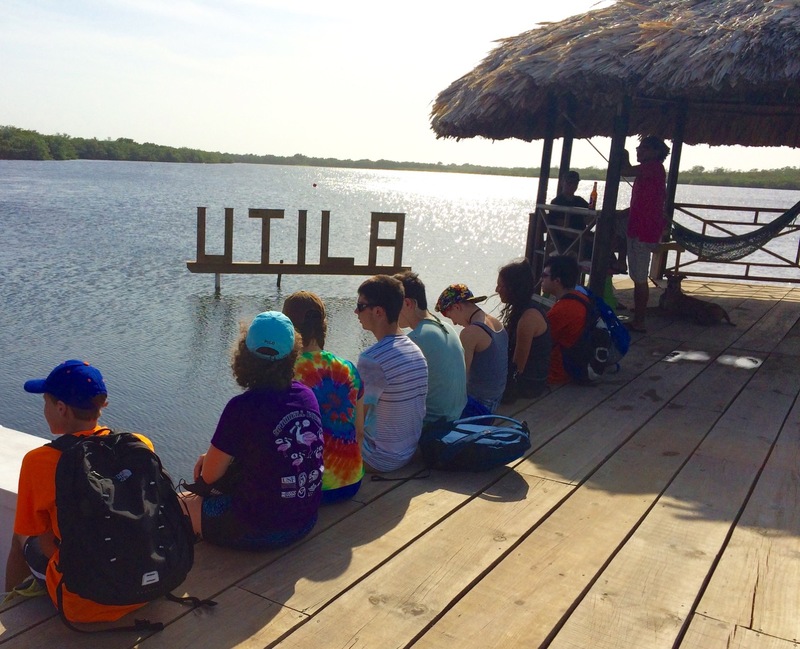 With only 4,000 people living on a 17 square mile island, Utila is a right-sized community where everyone knows everyone else and lives simply, giving students important perspective on how others in the world live. Utila might feel like a step back in time, but students won’t feel that way about the technology they will encounter. To collect whale shark data, WSORC uses military grade Wave Glider drones that can operate uninterrupted for up to 12 months using only wave and solar energy to propel themselves. 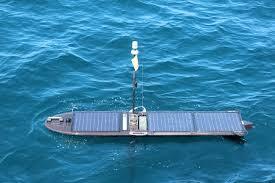 This technology is being ground tested for potential use in other marine monitoring in the world. Learn more about our Coral Reef Restoration, Whale Sharks, and Scuba Certification project this summer in Utila and apply here. If you have questions, please don’t hesitate to give Laura McCallion, our director of dive education and leader of this program, a call at 508-320-5087 (EST). Laura Parker Roerden is the founder and executive director of Ocean Matters and the former managing editor of Educators for Social Responsibility and New Designs for Youth Development. She serves on the boards of Women Working for Oceans (W20) and Earth, Ltd. and is a member of the Pleiades Network of Women in Sustainability. This entry was posted in Ocean Matters Blog and tagged lionfish, marine conservation, Marine Education, Service Learning, summer programs, Utila, youth action. Bookmark the permalink. Join Us in Welcoming Danielle Stone! Choose a Reef Safe Sunscreen: Because What You Do Matters! What Happens to the Coral Reef During a Hurricane? Greetings Aquanauts of Ocean Matters!